AT the age of 16, Jaeson Ma was arrested for grand theft in the US and was headed towards jail when a change of heart made him repent and put his faith in God. In three months, he discarded his unhealthy addictions and when his case was called for hearing six months later, he was declared not guilty despite pleading guilty. Big inspiration: Ma is a popular pastor among celebrities. Ma felt that this was his second chance in life. Today, 30 year-old Ma is not only a succesful artiste, but a pastor as well. He travels from city to city around the world inspiring young people with God’s teachings through music. Having worked in the entertainment industry since he was a teenager, Ma became MC Hammer’s right hand man. After a while he felt a need to do something more and became a pastor at the age of 19. He pursued his mission with genuine fervour and started building churches on university campuses. Now, he is said to have started hundreds of churches worldwide. He travels extensively, preaching and inspiring people through his concerts. Ma was recently in Kuala Lumpur for a concert when StarMetro spoke to him. Through the hip-hop church, Ma uses music to preach about God. “I was a musician before I became a pastor. I thought instead of rapping about nonsense, I’ll rap about Jesus, about love, compassion and justice which are teachings from the Bible. “I realised young people learn a lot through music, the Internet and YouTube. I figured if I can put a sermon on a song or a film, it is one way of reaching the younger generation. “Instead of going to a church service, kids today prefer to watch TV, listen to their iPods and go on Facebook. To them these are relevant to their culture, I merely use a thousand-year-old teaching and turned it into a form they could relate to,’’ he said. Coming from a broken home, he lived on the streets, stole and did drugs so he was able to connect with young people and understand their struggles. Similarly because of his musical background, Ma was able to inspire entertainment personalities through his work. “I understand their struggle and the stress of being on stage. Perhaps that is why so many celebrities confide in me because I’m an artiste myself,” he said. Ma, who resides in California, is currently working on an album called Glory which is scheduled to be released soon. The first single of the album called Love featuring Bruno Mars was released on Aug 31 last year and generated over one million hits. The song is a mix of spoken words and preaching. “The idea behind the album is glory belongs to God and each song in the album is a word like Love, Passion, Peace and Justice which are reflections of the glory of God,’’ he said. “Most of my lyrics are inspired by my spirituality and it is about being in the glory of God,’’ he added. 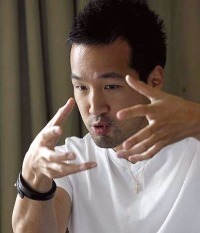 He has worked with MC Hammer in 1040, which is a documentary on the growth of Christianity in Asia. Ma spent three months working on the film and touring China, Hong Kong, Taiwan, Singapore, South Korea carrying out interviews.